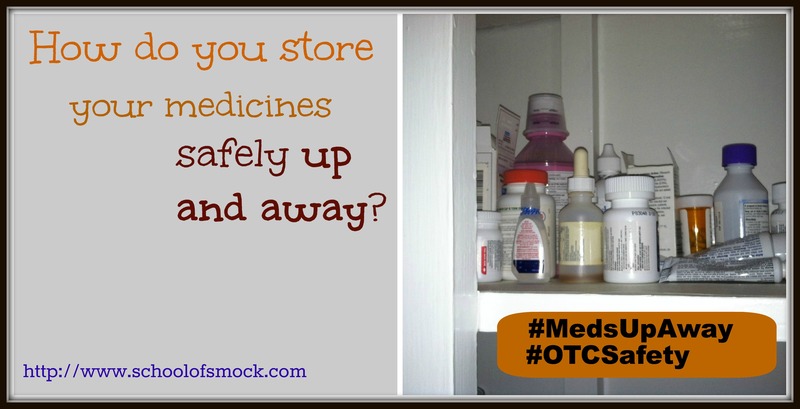 How do you keep medications stored out of the reach of kids in your home? Even during summer, when it’s not so hard to lose track of our regular routines. In a previous post, I told you about my partnership with #OTCSafety to inform parents about safe medication storage and usage. I shared a few cool infographics to help spread the message of medication safety. This time I’d like to tell you about a new social media program, #MedsUpAway. This program is part of June’s National Safety Month and Project Initiative, of which the CHPA Educational Foundation is a part. The goal of this program is to remind parents about this message of safe storage and to ask parents to share where in their homes they keep medicines up and away from children. Project Initiative is a collaboration of private companies, public health agencies, consumer health groups, and other groups with the goal of making sure that children are taking medicine safely and to prevent accidental overdoses. In our family’s house, we keep our medicines in the bathroom medicine cabinet, where my son can’t reach, or in the top shelves of the kitchen cupboards. Especially during the summer months, when a lot of us travel and family and friends come to visit, it’s especially important to remember to ask houseguests and visitors to keep bags, purses, and clothing that might have medicine in them up and away from kids. I know that when we travel or have guests and I’m thinking about everyone having fun and enjoying time together, it’s easy to forget daily routines related to safety. 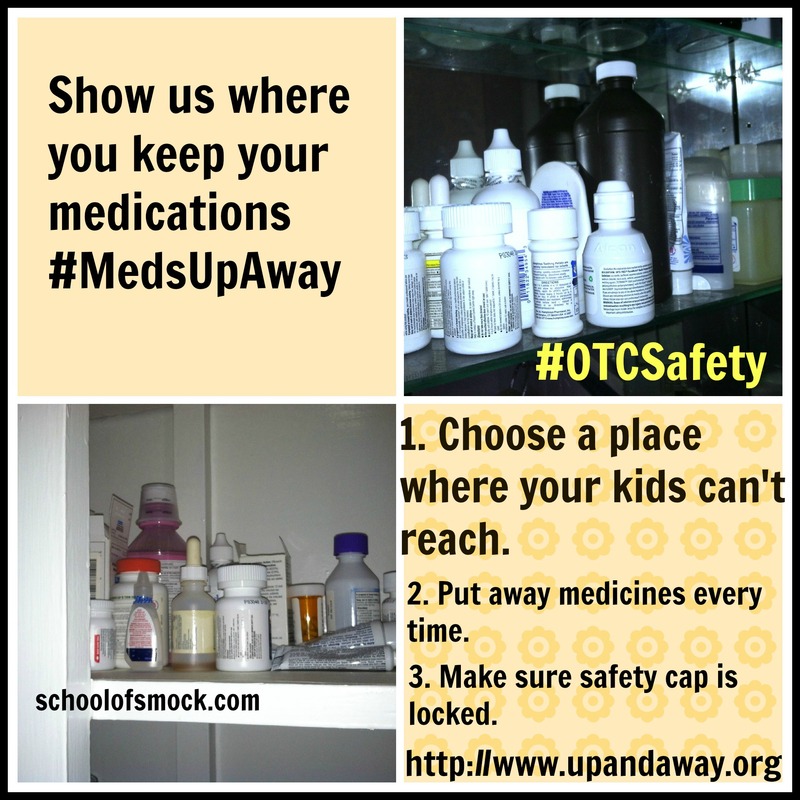 Could you tweet or share on Instagram using #MedsUpAway a photo of how your family stores medicine safely? We’d love to see what safe medicine storage looks like in your house! I receive compensation for my participation in the CHPA educational foundation’s OTC Safety Ambassador program. However, the content and opinions in this post are my own. We store ours in the top of the medicine cabinet or in the top of the kitchen cupboards as well. My sister climbed up to where my mom kept the meds and ate a whole bottle of Flintstones vitamins when she was little. After an ER trip she was ok, but I always think about that with my kids! Sarah Almond recently posted…I’m a Rock Star Today On My Skewed View! Yes, people forget about vitamins. I’ve seen lots of people keep them out in the open. They also can be dangerous when used beyond the recommended dose. Thanks for sharing this story!